Marble floor tile works in almost any room of the house. And while you might think of marble only in the classic (or Classical) form of glass-smooth white stone with smokey gray veining, there are several other options for marble finishes and colors. Marble tiles broaden the field much further, with offerings in many different sizes of individual tiles and even preassembled mosaic sheets. One of the prized characteristics of a marble floor is its ability to take a very high polish. This allows the material to be buffed until it glistens in light and is perfectly smooth to the touch. In lighter-colored marbles, polished tiles will actually glow, with the light of the room penetrating slightly into the stone and then reflecting outward with soft illumination. There are several drawbacks to polished marble floors. First of all, they are very slippery, especially in wet environments. They also tend to take and show physical damage very readily. The surface can be scratched which will create mars in the perfect polished surface of the stone. 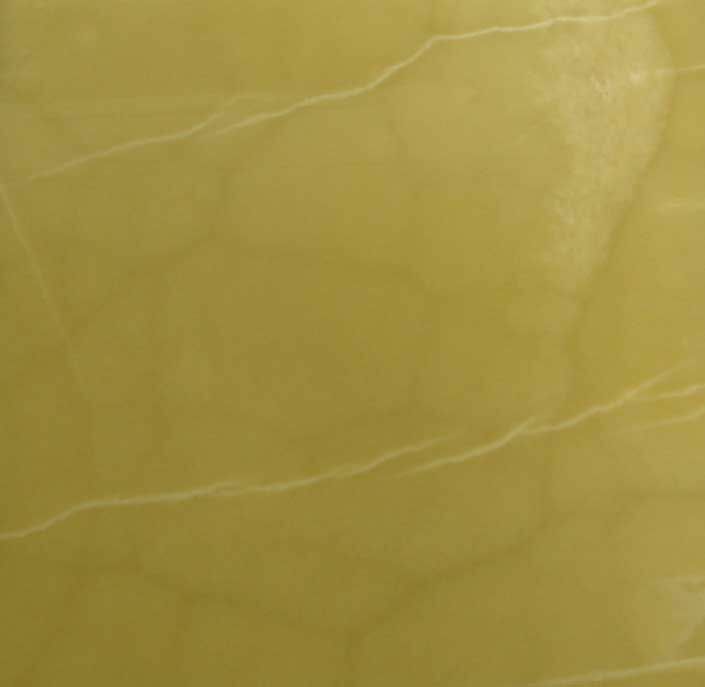 These blemishes will be more visible in darker solid colored marble materials than in light or single colored tiles. The process of honing takes a piece of marble and grinds it down until it is flat and smooth, but not to the point where it is slippery and polished. These tiles allow you to have the beauty of marble in a space without having to worry as much about slipping hazards. Unfortunately, honed marble often does not have the same vibrancy of color as highly polished stone. Often the hues will seem a little faded and washed out compared to the similar material in a polished finish. Honed marble also still has a relatively low coefficient of friction, and can be scratched if not cared for properly. Tumbling marble is processed similarly to using a rock tumbler in your home. Old broken, chipped, or scratched tiles are placed in a large machine and then sent “tumbling” for a set period of time. When the material is taken out the tiles have rounded edges and a stripped surface that gives them a rustic, natural look. With tumbled marble, each piece you get is slightly different. The tiles themselves are fairly standard in size, but the shapes will vary slightly, and not every piece will be a perfect right-angled square. You may also have some pieces that are polished and others that have a stripped honed surface. This irregularity is part of the appeal of using honed materials. However, when laying out honed tile for a floor, make sure the overall variation of the tile shapes and coloring have an attractively random look. 12-by-12-inch tiles are the standard and are generally 3/8 inch thick. 16-by-16-inch tiles are also common and are usually 7/16 inch thick. 24-by-24-inch tiles are usually the biggest available and are typically 1/2 inch thick. Marble tiles can be cut down to practically any size and shape, but it is most cost-effective to divide them by even multiples. For instance, a 12-by-12-inch marble tile can be cut down into 3-, 4-, or 6-inch squares so that entire tile will be used. By contrast, a 5-inch-square tile will leave 2 inches of material wasted from each tile. Marble is often available in a variety of mosaic cuts. These can either be small individual chips or mesh-mounted chips laid on backing. You can also buy medallions or patterns in which the marble colors are arranged on the mesh mount to create attractive and colorful displays. With all tile floors, the bigger the tile, the fewer grout lines you will have. Grout is one of the most vulnerable parts of a tile floor installation, and the presence of more grout lines will mean that the floor will require more maintenance to keep it protected against stains and water damage. Marble is available in dozens of different colors. The exact look of each tile is slightly different from any other, with unique hues created by the chemicals present during the stone's formation. There are two major color groups of marble: solid and multicolored. Solid marble tiles are predominantly a single shade, such as white or red. Multicolored marble may consist of several different colors, and they can be arranged in the surface of each stone differently. Is Natural Slate Floor Tile the Right Choice for Your Home?